If your homemaker listens and understands you, then they can be trusted. They let you decide what you want to happen and also, help you in tasks that you cannot do. They encourage you to make choices so that it’ll help you boost your confidence and enhances your decision-making. An organized homemaker does all things neatly and accordingly. They never miss any task they are supposed to do because they keep track on what they should do for the day. They are responsible, a good sign that they can serve you better. Homemakers that are flexible can do a lot of things. They can adapt well and are not choosy with things that you want them to do. They can be a homemaker plus a trusted companion that you can share your thoughts and problems with. 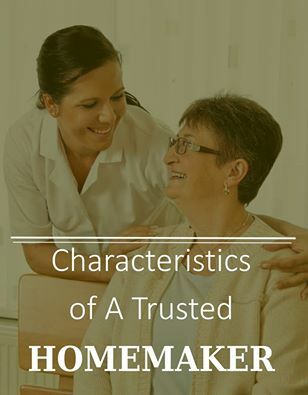 If you think your homemaker lacks these traits, it’s time for you to choose Care Plus Provider. Visit our website at www.cpprovider.com or call us at 1-800-571-1618 to know more about us.